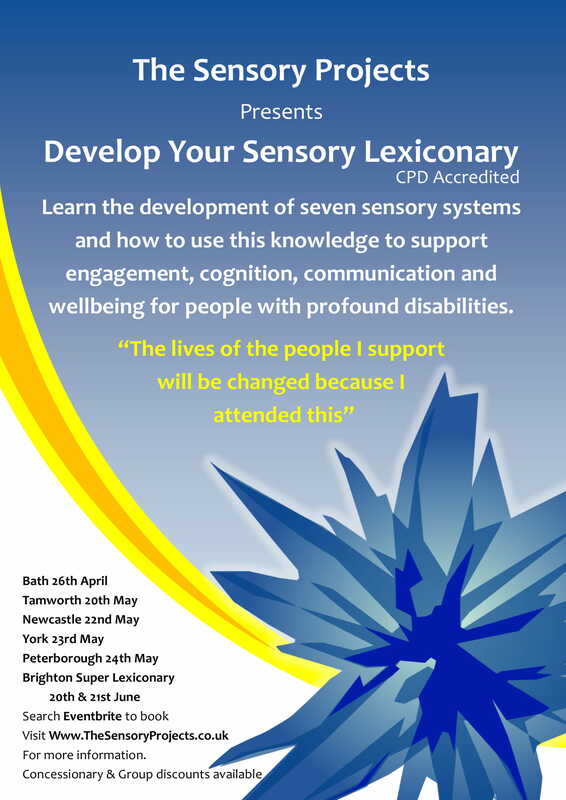 Develop Your Sensory Lexiconary is an intense and exciting training day relevant to people supporting people with profound and multiple learning disabilities. It teaches you the development of seven sensory systems (or nine if you do the Super Lex) and shows you how to use this knowledge to enhance cognition, communication and wellbeing for the person or people you support. It is a very popular event attended by a wide range of people who all bring their own unique insight and experience to enrich the day. Past delegates have described it as life changing for those they support.